on the health of their body. With the Biocera alkali water filter product, they can get water that has not only been filtered, it has also been converted into alkaline water. 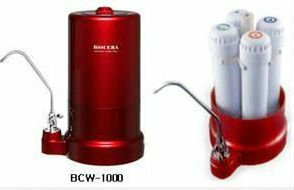 Once the put water into these pitcher filters, the water is transformed by the natural bio ceramic ball into a highly alkaline water that will have a pH level of 8 to 9.5. Many people seek out alkaline water to help get the healthy benefits of the antioxidant properties for the human body. The alkaline water helps to restore the body’s acid ph level, reduce free radicals causing oxidations (mainly caused by air and food pollution) and restore the body to a healthy alkali level. Use a Biocera water filter in order to get as much anti oxidant alkaline water as your body needs. Pitcher filters are increasingly being used by people who want handy access to clean water that will be the most beneficial of them. 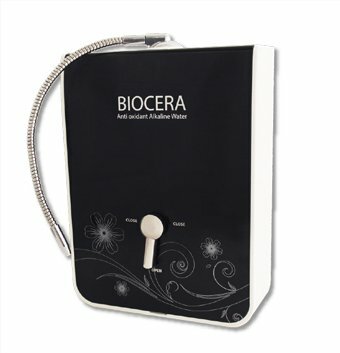 By making Biocera jug filters available, you make an easy option available for customers who seek out alkaline water. Home direct piping water filter products are also available with the Biocera and pre, post and carbon filter cartridges installed. These filters do more than just create water that is highly alkaline. They also clean the water for contaminants just like any other filter pitcher and also provides natural mineral. For the overall health of the body’s tissues, many people are big believers in the power of drinking alkaline water to deliver more energy to the body. Many believe that it gives the cells more hydration and that it allows for better use of water by the body’s system. For effective hydration and a good balance in the body, make alkaline water available to your family in the form of this effective water filter. It is a yearly maintenance and only requires a change of filters one a year. Do contact us for further information and to purchase this high quality Korea brand of filtration.